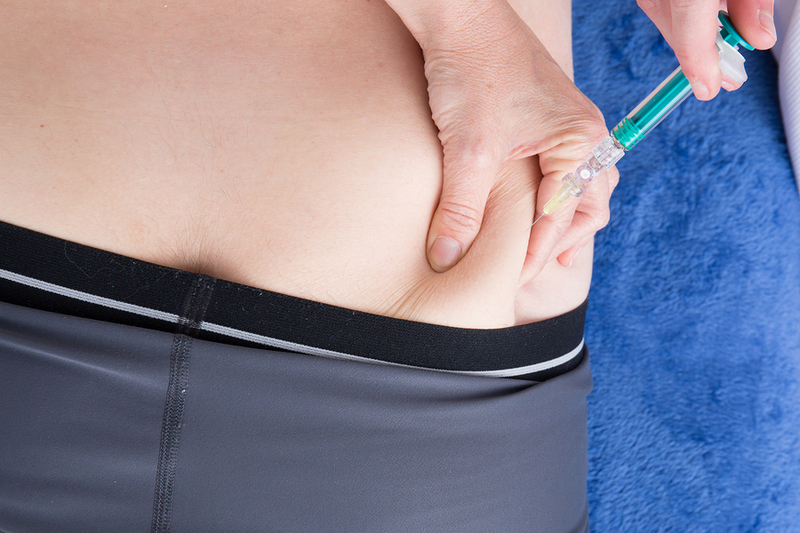 A new study examined whether a male birth control injection would be effective. 320 healthy men aged between 18 and 45 in monogamous relationships received hormone injections every 8 weeks. 1000 mg of a synthetic testosterone (testosterone undecanoate) and 200 milligrams of norethisterone enanthate were in the shots. The trial took place in 10 different locations throughout the world. The center of the investigation was located in Münster, Germany. The original research was published here. On the one hand the question was how effective the male birth control injection was. On the other hand the question was what the side effects were. Intermittent sperm counts were obtained from the subjects. This was continued until their sperm counts dropped to less than 1 million per milliliter in two consecutive tests. This is considered safe for contraception. There were 4 pregnancies throughout the trial. This calculated into a pregnancy rate of 1.57 per 100 continuing users. All of the children born were healthy. Side effects: common adverse events were acne, pain at the injection site, increased libido and depression. When the trial was concluded the recurrence of the sperm rate was measured. Recovering fertility was measured by intermittent sperm counts using the criteria of the WHO. Eight men did not recover to fertility after 1 year after the discontinuation of the hormone shots. An external safety review committee examined the trial. As a result the committee recommended terminating the trial early. The reason given was that there were too many significant side effects. There was also a question about one suicide that happened throughout the trial. Was it from a side effect of depression as a result of the hormone injections? Or was it it happening spontaneously independent from the hormone shots? The male birth control injection has not reached practicality yet. This trial was close except that too many pregnancies happened; also, acne and depression were significant side effects. One of the serious side effects of depression can be an increase in the suicide rate, which is too dangerous for any drug company to take on. I noticed that Bayer provided the hormones free for the trial. Both the synthetic testosterone and the progestin, which is artificial progesterone are not hormones naturally found in males. It is likely that the progestin (norethisterone enanthate) component is responsible for some of the side effects. This progestin probably caused the mood changes and other side effects. Male birth control injection is not ready for show time. At this point the risks outweigh the benefits. More research and fine-tuning are required.